Anne Hoof was most likely born in the Netherlands around 1720. She apparently moved to America as a child and grew up in Philadelphia. In 1738, she married Jonas Green, a Philadelphia printer employed by his cousin Benjamin Franklin and Andrew Bradford. Later that year, Franklin sent the Jonas Green to Annapolis, Maryland, to take over the publication of the Maryland Gazette. 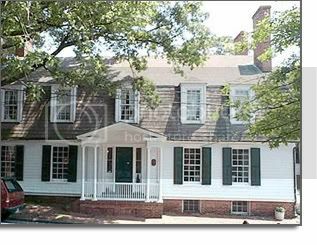 The Greens rented a house on Charles Street in Annapolis, which at the time had just a two-story kitchen next to a two-room house. 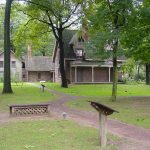 In the early 1740s, the owner expanded it to its current size to make room for Green’s print shop, a post office, and their 14 children, only six of whom lived past the age of 6. Anne involved in running the paper from the beginning, and learned the business. Jonas Green hated the Stamp Act, which among other things, directly taxed his newspaper. Refusing to pay, he halted publication of his paper with the protest headline “The Maryland Gazette Expiring: In Uncertain Hopes of a Resurrection to Life Again.” In the bottom right corner, he placed a skull and crossbones where the tax stamp should have been. Cooler heads prevailed, and Green revived the Gazette with the banner headline: “An Apparition of the late Maryland Gazette, which is not dead, but only sleepeth.” He also signed a contract to be the sole printer for the General Assembly, a role he kept until he died bankrupt in April 1767. Anne Green continued to publish the newspaper, without missing an issue, but her husband had left her deep in debt. 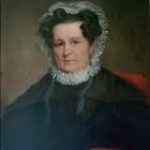 She took over the legislature contract, and in that year, she also issued the volumes of Acts and Votes and Proceedings of the provincial assembly on schedule. And in three short years, she was able to buy the printing business and the house they had been renting. As a widow with at least ten children to support and a stack of her husband’s bills to pay, Anne Catherine Green took over the publication of the Maryland Gazette while living in this colonial house. 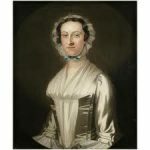 Assisted by her son William, until his death in August 1770, and thereafter by her son Frederick, Anne maintained the private and public sides of the business with great success. The newspaper masthead read Anne Catharine Green & Son. 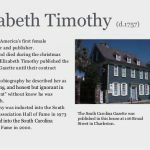 The almanacs, pamphlets, and books that issued from her press were typographically distinguished examples of her craft. Anne Green was a sympathetic supporter of the Revolution, and the Maryland Gazette contained early attacks on British rule. The Gazette was the province’s principal source of news in the period, and in its pages the issues of the day were hotly debated. John Dickinson’s celebrated Letters from a Pennsylvania Farmer were first published in that journal. Under her skillful direction, the paper became a powerful force in the community, furthering the cause of liberty and the Revolution. In 1984, Anne Green was inducted into the Maryland Delaware D.C. Press Association’s Newspaper Hall of Fame.